Co-work spaces have become very popular over recent years and it is no surprise why. More companies are moving toward a non-traditional or more flexible work environment that supports their employees lifestyles. 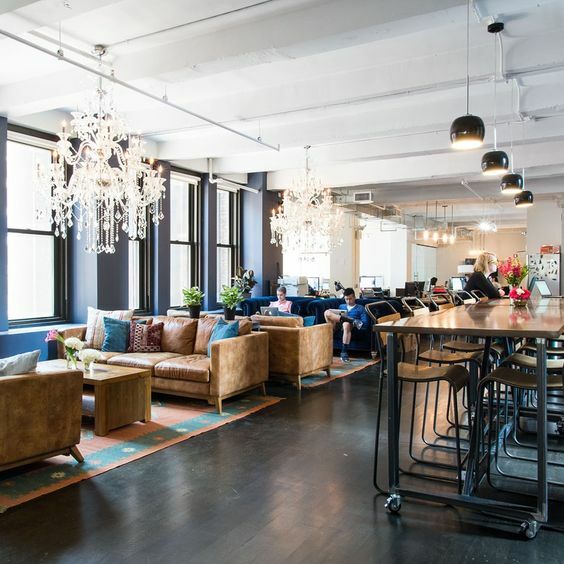 This gorgeously designed co-work space in New York City uses industrial and polished elements to create a funky and refined environment to work in. A light and transitional style is displayed in this communal work space. The mixture of collaborative table space and lounge style furniture are ideal elements in co-work spaces. 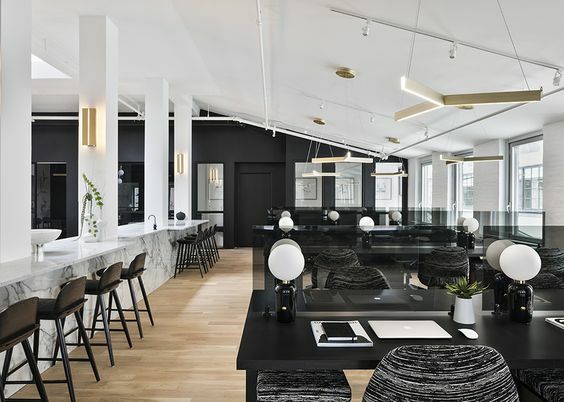 Sleek black and white finishes and decor create a contemporary work space worth working in. 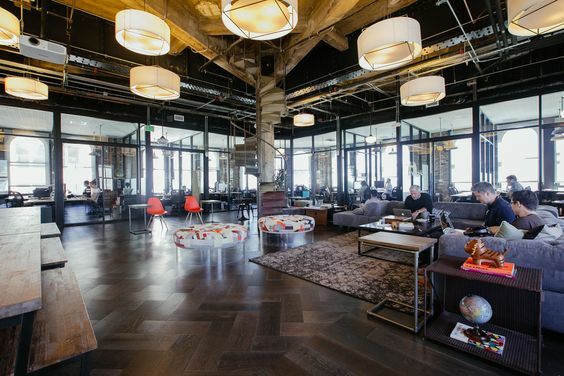 We love this example of co-work space for its chic and edgy style. 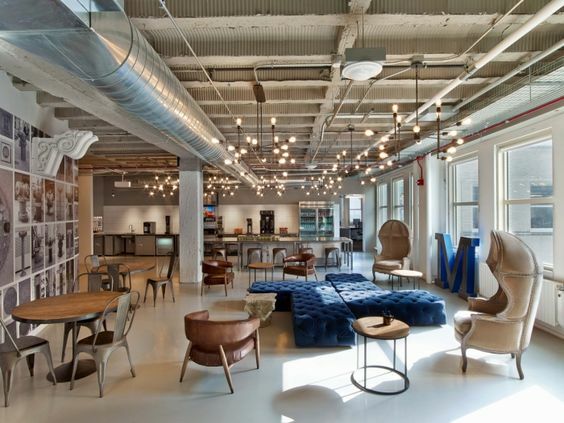 An eclectic warehouse style work space in Chicago is home to Motorola Mobility. The diverse seating in this space offers a tailored experience to each user. This edgy co-work space has major living room lounge vibes. The more casual lounge furniture and open concept would be ideal for events as well.